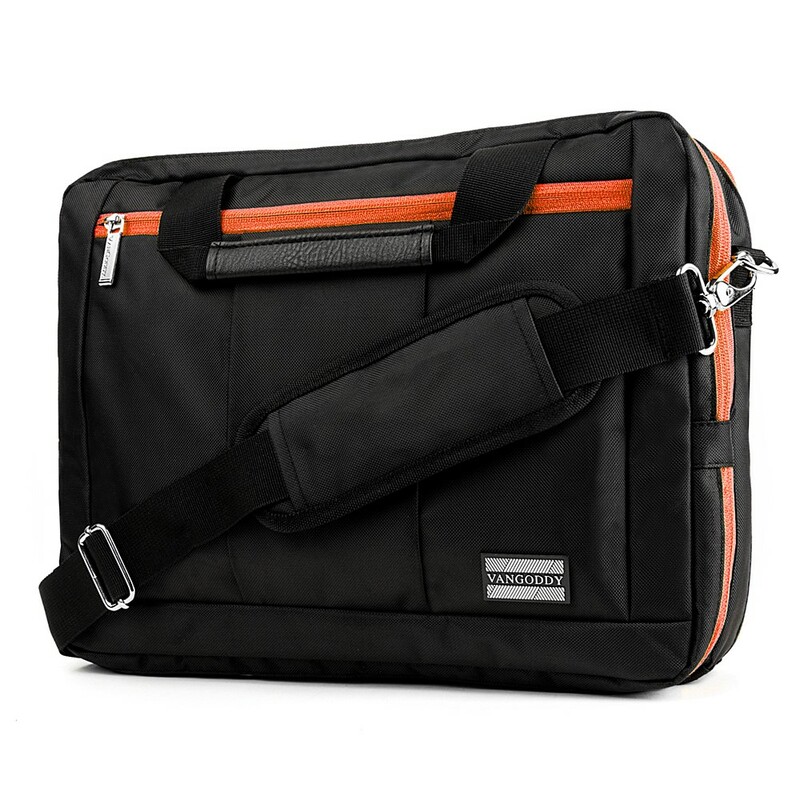 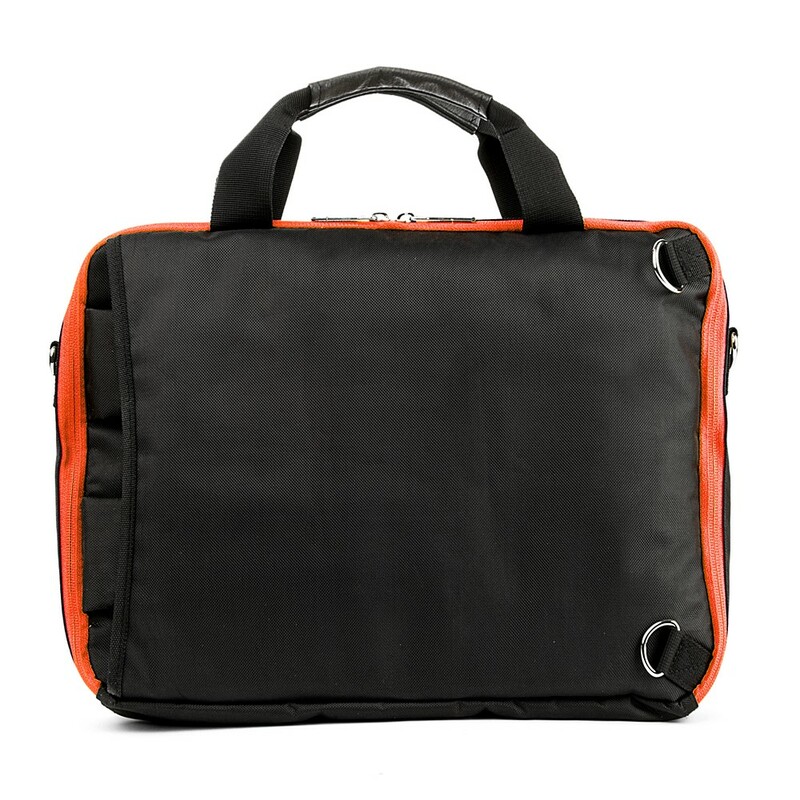 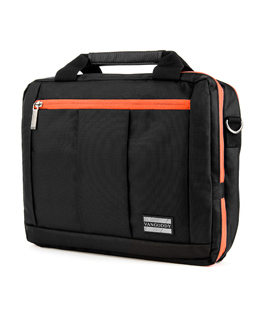 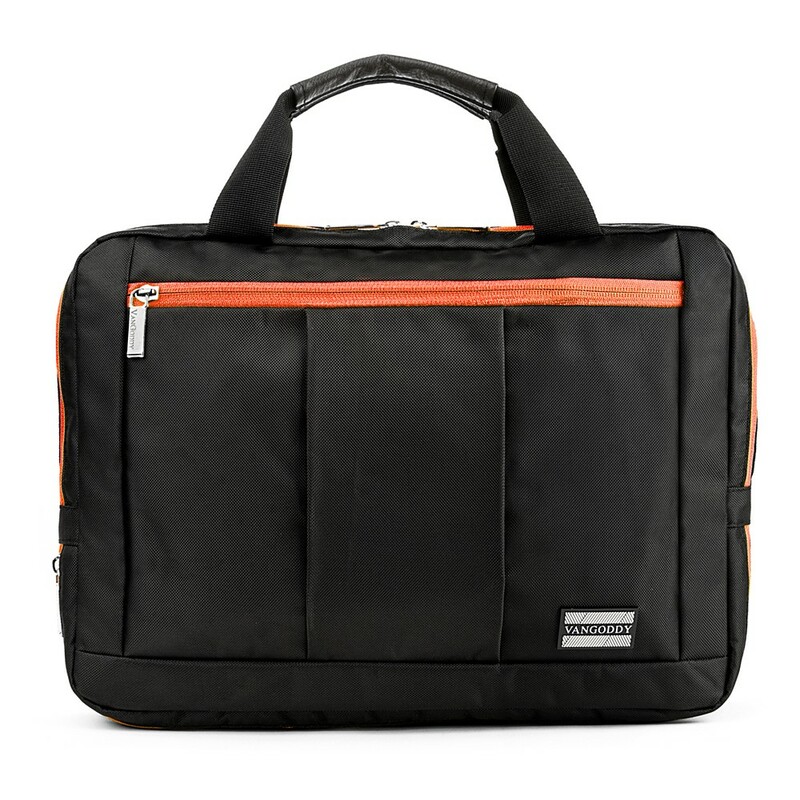 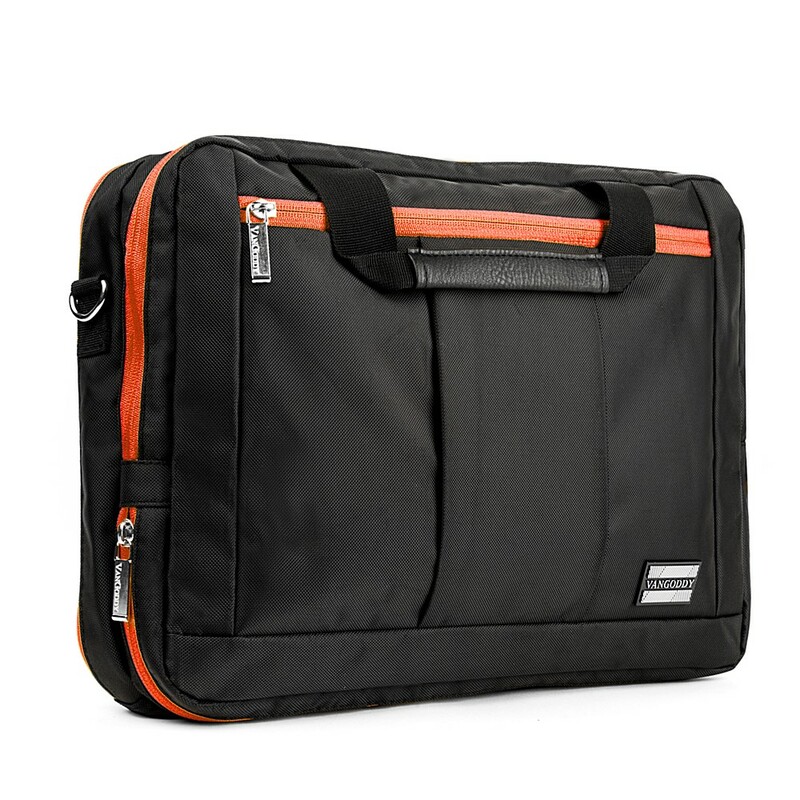 El Prado Laptop Messenger/ Backpack (Black/Orange) 15-17"
The El Prado’s versatile design makes carrying a 15-17in laptop a breeze. 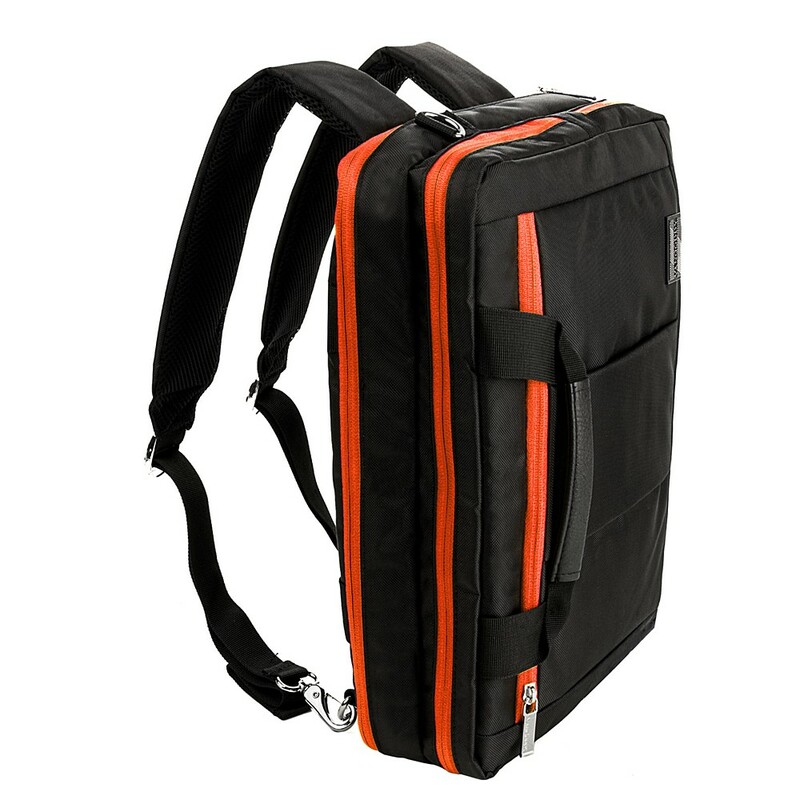 Hideaway backpack straps, handles, and a padded messenger bag strap provide three carrying options. You will have all the space needed for supplies with dedicated accessory pockets, and a large zippered front pocket. 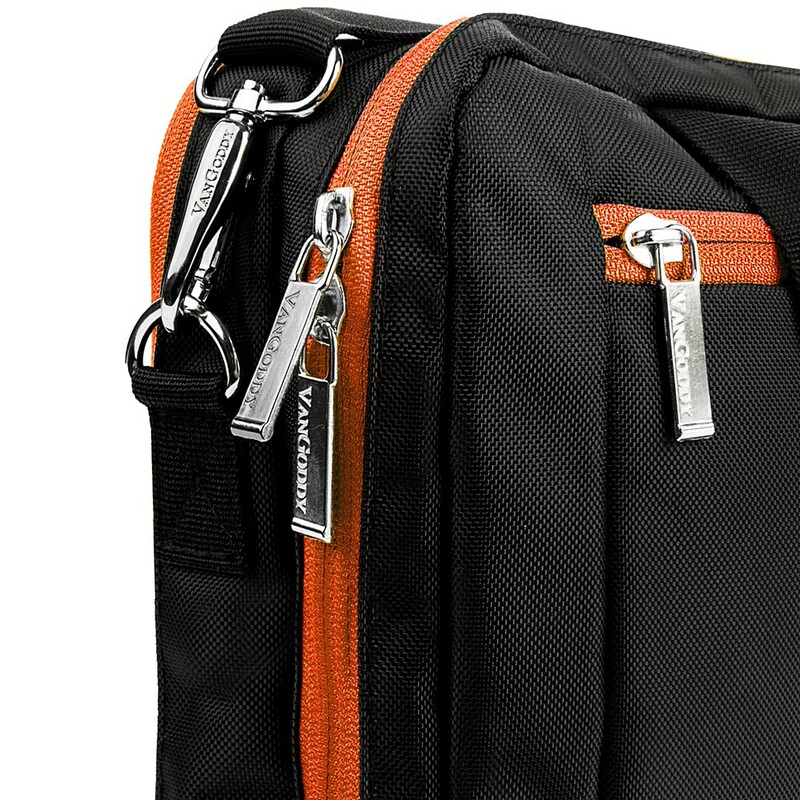 Personalized VanGoddy hardware complete the look of the bag. 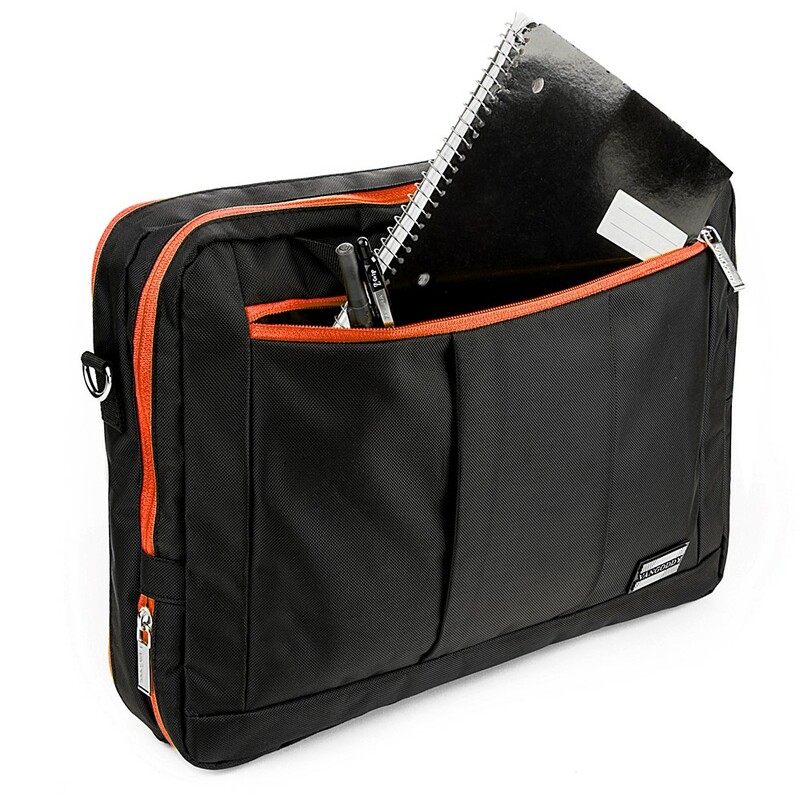 Dedicated accessory pockets for phones, business cards, pens, stylus, and tablets/eReaders etc. 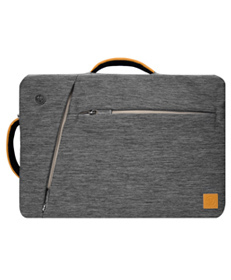 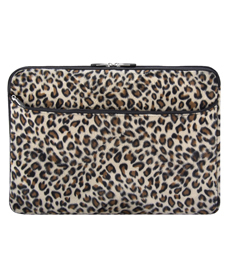 Large zippered front pocket holds chargers, notebooks, books, etc. 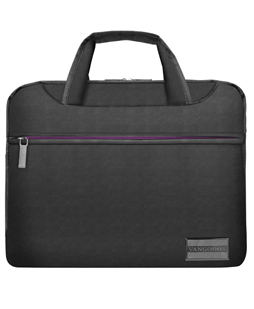 El Prado Laptop Messenger/ Backpack (Black/Purple) 15-17"